Venezuela is a total disaster. Inflation is through the roof. Medical supplies are low. Basic commodities, like toilet paper, are in short supply. Readily available medicines, which we take for granted, are not around. Crime has risen. Economic destitution abounds—and yet democratic socialists in America want to exportthat misery here. The people are starving. It’s become so bad that people are eating out of garbage cans. 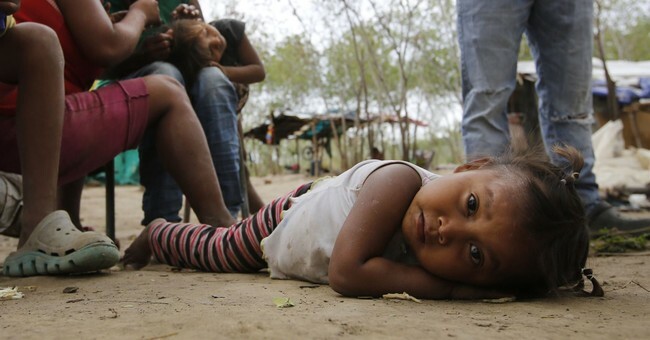 In some cases, Venezuelan doctors, teachers, and even children are not prostituting for food. Zoo animals, dogs, cats, and birds are being consumed. In the meantime, waiting in line at the supermarket could land you in trouble with the police. With food so scarce, people wait in line overnight to try and get something for their families. So, how bad is Venezuela’s inflation problem? In Venezuela's inflation-hit economy, a single US dollar can buy 3.5 million liters of gasoline-- an absurdity that the government says it will tackle with a hike in the cost of state-subsidized fuel. The solution is nixing socialism.